Sometime last year, I wrote a post asking married people to tell me what they love about being married. I wanted to hear stories of couples that are happy in their marriage. It’s important that single people hear about and see a side of marriage that’s not popular; the happy side. I don’t know about you but all I hear day in and day out is marriage is hard. It’s drudgery, gloom and a whole lot of doom and that is why it was refreshing to hear Ali Wentworth share how happy she is in her marriage to George Stephanopholus. Ladies if I’ve told you once I’ve told you twice and now I’m telling you a third time just in case you didn’t get it; when a man knows, he knows and he will let you know. You do not need to date him forever and a day. Sitcoms depict married life as a bickering couple; he’s usually heavy and not very attractive, and she’s usually too smart and beautiful for him. There’s a lot of eye-rolling. The couple grudgingly put up with each other and a laugh track. Switch to a cable drama: one of them has murdered the other. The best-selling books and records are always slanted toward relationships gone bad. And how would daytime talk shows survive if we couldn’t trawl for signs of infidelity or enforce paternity tests? It’s embedded in our culture. The few couples I know with good marriages keep it on the down-low. We meet after dusk at nondescript, out-of-the-way joints. Sometimes Brooklyn, sometimes one of our homes. We close the shades. We make sure nobody sees us holding hands, giggling,or, God forbid, embracing. So until things in our country change, I will have to become masterful at changing the subject and, in some cases, flat out lying about the state of my union. Spot on! It’s very rare to see happily married couples much less hear a couple speak about the happiness they experience in marriage. What he said in that entire paragraph is the reason many singles have no interest in marriage. If marriage looks like a picture of perpetual unhappiness, why would anyone sign up for it? I often hear couples brag and boast saying something along the lines of; “We’ve been married 30 years” but when I look at them, all I want to ask is, but are you happy? Is the goal to stay married no matter what or is the goal to stay married till death do us part and be happy while doing it? Can you do both? Seems like couples start out happy then the happiness wears thin and they become the sitcom couple who bickers and puts up with each other until one leaves or dies. Ali emphasizes, “Talking about being happily married does not mean we have to brag or make it seem like our marriage is flawless or even easy. I said I love my husband, not that our marriage is perfect,” noting that they do fight from time to time. What married couple doesn’t? What say you? Are happy marriages taboo? How do you talk about marriage? How do people talk about marriage to you? Do you hide your happy marriage? Is it a dirty little secret? Yvonne, great article. I’m happy in my marriage, and I’d never thought about the pressure to minimize around other because some aren’t. But I think that’s true. Fascinating perspective! It has become so main stream to complain about our marriage and our men, but we aren’t doing it in a constructive way that enables us to seek the help we need. Those who are happy in their marriages have an obligation to share what’s helped and what’s given them hope as they overcame their messes, so that more marriages can become the masterpieces God designed them to be! Blessings! You’re so right; it has become mainstream to speak badly about men. Sharing what’s helped to create the happiness plus what’s given hope as they overcame messes would definitely be great to hear. We live in a world of pretending so not sure if that will ever happen. Everyone wants to act like their lives are so perfect (check Instagram) when we all know it’s not. Transparency is so freeing. Agree 100%. I wonder why banter about marriage pitfalls are so frequent? Maybe more people would want to marry and stay married if we heard more banter about the happiness that can be found in marriage. This is an interesting perspective that I’m so glad you’re writing about! I haven’t really put enough thought into this. I am in a very happy marriage, and I do feel pressure sometimes to keep quiet about it because it can make other people feel bad if their marriage isn’t good. Perhaps I need to rethink that…. Thanks! 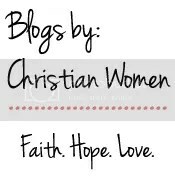 Lisa notes recently posted…When You Are Confused, Is God? I’m begging you to rethink it. No one wants to be around a bragger who comes off as if everything is perfect in their world. If you avoid that way of being, it is perfectly fine to talk about the happiness in your marriage. Sharing it gives others hope especially those who are in a not so happy place in their marriage. Also, sharing how you got to that happy place is even better. I believe most marriages start out happy then life happens. Some recover and get the happiness back while others don’t. Hearing that perspective would be very helpful to those who want to be married, those who are newlyweds and also those who might be thinking of throwing in the towel. I think it’s sad that happy marriages tend to be the exception rather than the rule! I wonder if the trouble is we often expect our spouse to be our everything and make us happy always and that is just too much pressure to put on one person. We need to be gracious and forgiving with our spouses and always seeking their welfare above our own – that is what true love is anyway. You’re on to something. As I listen to others talk about relationships and I look back in my own past relationships, there is an unrealistic expectation of our person to be our everything and to always make us happy. Thankfully, my brother got me away from that expectation a long time ago in one of our talks about marriage. He said, marriage can add happiness to your life, however, it is not responsible for your happiness nor will it make you happy. This is so good! I have thought about this sometimes, usually mid-conversation, and the way I refer to my marriage relationship is usually depending on what company I am in at the time–are they happy too, or are they struggling? I have a great marriage, but it has not always been this healthy. I love to champion great marriages, and I love to encourage the couples who are having a hard time. One of the greatest gifts we can give our married friends is the gift of perspective. When a friend calls me and wants to complain about her husband, I’m not going to affirm how much of a no-good-lazy-insensitive-cave-man he is. I’ll hear what she is saying, (sometimes we just need a safe place to vent) but I will always encourage her to look at things from a generous point of view, and ask her where she can give their relationship some grace. We sometimes need reminders of their gifts and strengths and how we can make a good team. There’s so much opportunity for us to honor our spouses, and so much noise out there telling us to look down on them. Anyway, thanks for sharing, this is a serious topic and I love how brave you (and Ali) are to talk about it! I suppose there’s no comedy or drama in a happy marriage, so we don’t hear about them, but marital harmony certainly makes for a better life! Great article! Marriage is a lot of hard work, and it can be disheartening to see marriages fall apart around you. My husband and I celebrated 20 years of marriage in December and are having a vow renewal next weekend. It takes patience and respect, plus trying not to take your partner for granted! There are some great points here! I’ve noticed that on social media too, where couples are much quicker to complain about their spouse than to share their good times and happiness. Let’s change the culture and show the world that happy marriages really do exist! I’m all for changing the culture. Grateful to personally know a few happy marriages. I know a lot of single people who don’t want to marry because of what they hear and see about marriage. The picture is just not good nor is the language used to describe marriage and that is why I was so happy to have Ali’s take on it. We need to hear more about the happiness of marriage. Yvonne, great topic! Rev and I have been married for 46 years and yes, we’re happy! We’ve served in ministry, run a stewardship/consulting business, and raised a family all as team efforts. There is no one with whom I’d rather spend a day. I’m very blessed! Somehow I can feel your happiness through your comment. Blessings to you and Rev on 46 years and wishing you many more. You are indeed very blessed. Thanks Yvonne. A friend who was in a sharing group, getting to know each other. Each sharing where they were at in life, many with broken relationships. My friend, despite having had two adult children killed in separate car accidents, shared how grateful he was for his wife and family. He was later reprimanded for sharing his happy life when others around him were not happy. Yes, the culture needs to change. That’s a shame he was reprimanded for sharing his happiness. I’m sure he thought it would inspire others. We definitely need to change the culture and I’m doing my part in my little corner of the blogosphere. Thanks so much for back to back features. I appreciate you.